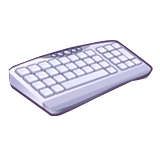 Auto typer and talker utility is used to type text automatically with a certain speed and hotkey you specify for each text. Easy to use user friendly utility. You just set the text and its shortcut and then set it as (Typer or Talker) and start using the tool. This is useful for auto fill a form or window that requires fixed values to be set every time, this can save time and efforts for end-users. Please note: The program provides free technical support. Auto Talker is disabled.